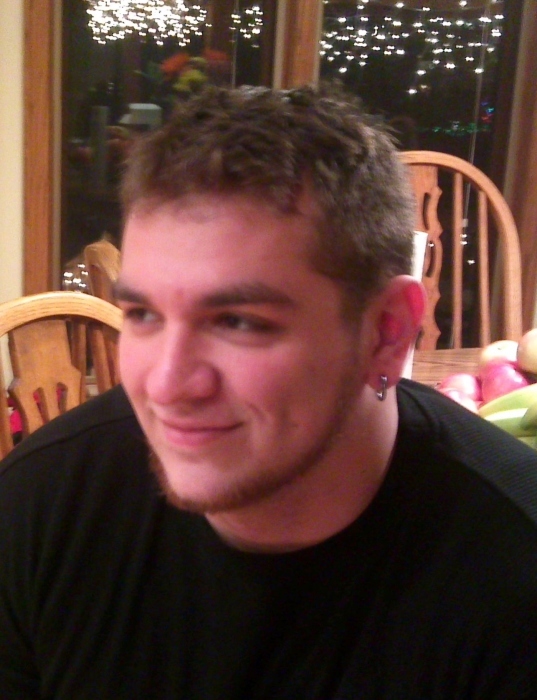 Kyle Gojdas, age 29, of Glen Ellyn passed away on Friday, September 28. Loving son of Greg and Elise Gojdas; Dear brother of Jason, Danielle, Miranda, Adam (Sarah) and Kathy Arnold (Marc) and the late Michelle Honn; Beloved grandson of Aurora (late Guillermo) Campillo and the late George (late Verna) Gojdas; Fond nephew and cousin of many. Kyle was a graduate of Glenbard South High School and a graduate of University of Iowa with a bachelor of science-chemistry. He was currently studying nursing at College of Du Page. Kyle loved little dogs, especially Spike. He was a gentle giant who cared for everyone around him. Visitation will be held on Wednesday, October 3, 3 – 9 PM at Leonard Memorial Home (565 Duane Street, Glen Ellyn, 630-469-0032). Funeral Mass will be held on Thursday, October 4 at 10 AM at St. James the Apostle Church (480 S Park Blvd, Glen Ellyn).